thank you, MAC! — halthegal. ooooh, what a time we had!! first off, a HUGE thank you to Metropolitan Arts Council right here in greenville, sc, for my generous #MACArtsGrant !! 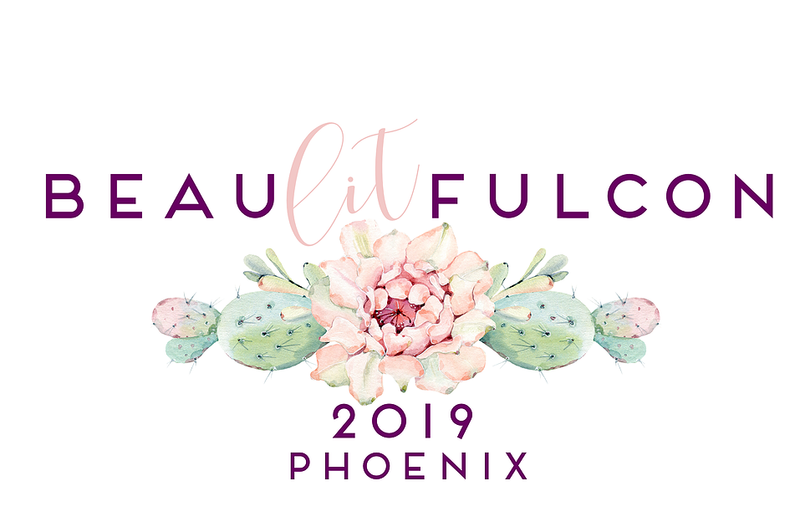 it not only helped me get out to phoenix, az to meet all my favorite book people, but enabled me to be a bag sponsor and get my faerie tale feet bookmarks into the hands of hundreds of colourful, inspiring, boss girl nerd babes. 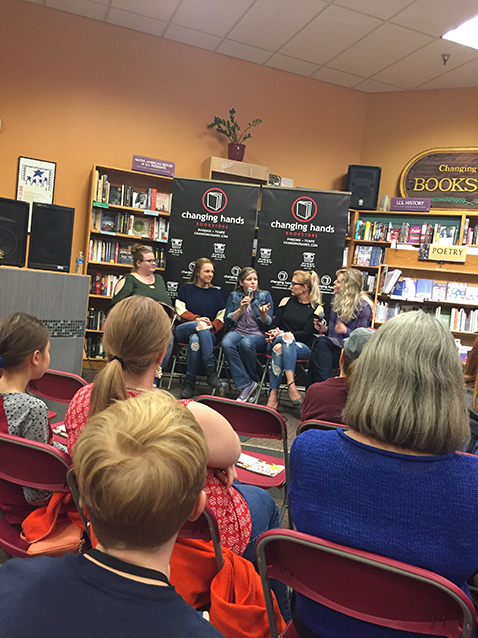 i got into town a couple days early (because i don’t trust flight schedules not to lie to me) and made it JUST in time for an author panel and signing at changing hands bookstore in tempe. from left to right, the incomparable: beth revis, nadine brandes, sara ella, mary weber, and ashley townsend. i was in famous author fangirl nerdfest heaven and a total dork about meeting them all. mary weber is an absolute rockstar. another dream of my heart come true was meeting the ladies of litjoy crate. i’m a huge fan of their bookbox and all the things they love. and they happened to sponsor the coffee truck that day, and well, you know how i feel about coffee. i definitely learned a LOT from the marketing/brand panel with authors and the LitJoy gals, too. 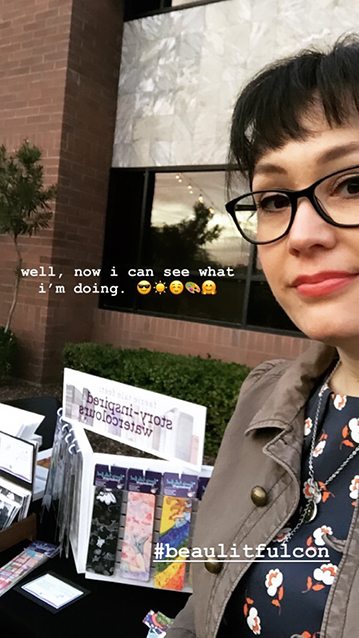 as a bookish brand, i’m always trying to improve! and that they, who already seem to be doing it right, loved my packaging was a tremendous compliment. nadine even shared ME on her instagram stories and my happy heart was full. so thank you thank you thank you once again, metropolitan arts council for your grant in helping me advance my artsy business and learn how to DO THE THING with even greater, smarter business panache and beautiful marketing stuff. ;) thank you ladies of panels and attendees for sharing your wisdom with me, and of COURSE thank you for loving my art, too. i was SO happy to share it with you!! and i look forward to all of those upcoming projects we discussed, you amazing book box brands and authors!! stay tuned for more fun things happening this winter/early spring. i’m currently getting ready for STEP INTO STORY, my faerie tale gallery show at centre stage in march. hope to see you at beaulitfulcon 2020! !